The year is 1972, the height of the Cold War, when a Soviet KGB sleeper defects in Britain. Arkady Malinov claims that there is a sinister plot afoot, code-named Operation Glass, that will change the world forever. 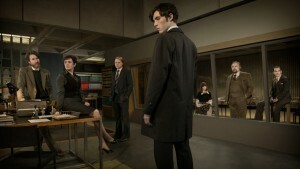 That is the setup for The Game, a new spy drama Wednesday’s at 10pm on BBC America. The first two episodes are currently available online with the second episode premiering on the small screen later in the week. even if the game wants to play remote play ps4 android apk, it won’t allowed to play as sony has blocked the sources. And simply put, in terms of a premise this is about as close to my sweet spot as any show is going to get. From the real life Cambridge spies of Kim Philby, Guy Burgess and Donald Maclean to the fictional characters James Bond and Jason Bourne, thrillers and dramas based around espionage, whether in film, television or book form are my preferred entertainment options. 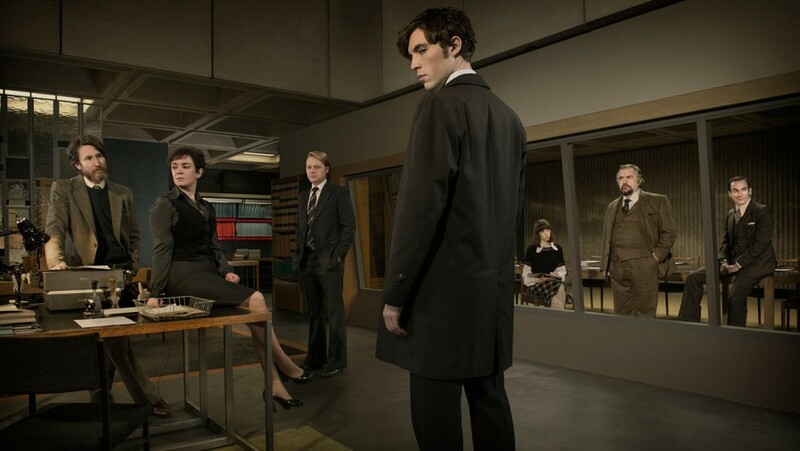 Tom Hughes plays Joe Lambe an interrogator for MI5, Britain’s equivalent of the FBI. Both organizations have responsibilities based within the country rather than abroad. For reference the organization for which James Bond works is MI6, analogous to the function of the CIA, which is to deal with worldwide threats. So it’s a little peculiar when the series opens with Lambe in Poland in 1971 and offering to defect in a scene that two episodes in still doesn’t quite make sense. However we move forward quickly to 1972 and the defection of Malinov. The KGB is activating dormant agents from around the UK as they start to move the pieces into place concerning Operation Glass. Cleverly creator and writer Toby Whithouse has anchored the six-part series on one new activated agent per episode in a mechanic that can easily be repeated should the show move to a second series – or hopefully more. Whithouse has some fine credits under his belt as well, not least the magnificent School Reunion episode of Doctor Who which remains my second favorite episode, behind Blink, of all the new Who. Hughes is a relative unknown in this country and not massively experienced in the UK where his biggest claim to fame is appearing in six episodes of the legal drama Silk in 2011. Originally from Cheshire, south of Merseyside, Hughes’ accent seems to meander somewhere between Liverpool and Ireland in a pleasant manner that I suspect is actually an accurate portrayal of a local accent rather than an stereotypical representation of one or the other. Veteran character actor Brian Cox, so wonderful in the Bourne Supremacy and a host of other movies, plays “Daddy” the head of MI5, who knows of Lambe’s Poland escapade and has covered up the details ensuring the personal loyalty of the officer. On hearing the news of the potential Soviet threat, a committee is formed to deal with the situation one that includes not only “Daddy” and Lambe, but also the deputy head of MI5 Sarah Montag, the head of counter-espionage Bobby Waterhouse, Sarah’s husband and technical boffin Alan, Special Branch detective Jim Fenchurch and secretary Wendy Straw. Each of the characters are well defined quickly with enough nuance that you can already start to create dubious motives and possible treachery in each. Moreover Whithouse also takes the time to add some lovely layers, not least Judy Parfitt as the mother of Bobby Waterhouse. The Game is nicely paced and these days I’m rather accustom to blitz watching numerous series. I was therefore genuinely disappointed to only have access to the first two shows and this is one that I plan on watching live each week when it is broadcast. That said, what is fascinating about The Game is that in many ways it fails at portraying 1972. Or more accurately it really doesn’t succeed. The appropriate cars have been sprinkled around the outdoor scenes and the interiors and fashion are adequate. I’ve pointed this out before, but a show like Endeavor appears to pay homage to the era in which it is set with dozens of correct artifacts on display. Here there is no clear definition that the show is set during one of the more turbulent times in recent British history. January and February of 1972 saw the initial showdown between the powerful trade unions and Conservative government of Edward Heath. A fact, which I presume, will be a plot point later in the series. The coal miners went on strike, picketing power stations in a move that ultimately saw the banning of many forms of commercial electrical use and wide spread planned power cuts across the country. And yet in the first two episodes in which The Game is set, and the television news informs us that the industrial action is ongoing, the characters generally act as if nothing significant is going on. Moreover prior to one of the rather scary nuclear war public service announcements, the television show The Two Ronnies is shown wrapping up. While it is possible that the BBC at the time was running repeats of the 1971 series of that show, although I believe that unlikely, the 1972 series did not start until September of that year. Certainly it might be seen as a small thing, but when you see Joe’s apartment or Wendy’s room and there is nothing that is definitively from 1972, it is rather jarring. Nor is there a musical sound track that might have helped ground the particular time frame although it has to be said that 1972 was something of a wasteland when it came to popular music. I suppose the above can be construed as a criticism of the show, but in fact it is more of a lament. The Game is thoroughly entertaining and highly recommended. There’s just a sneaking suspicion that it could have been even more so.